The eLearning Department assists faculty in the development of eLearning courses, provides training in instructional technologies, and manages the PSC eLearning system (Canvas). When seeking assistance, please call and make an appointment. This courtesy will allow the eLearning staff to set aside a block of uninterrupted time just for you. Appointments can be arranged by calling 850-484-1238. 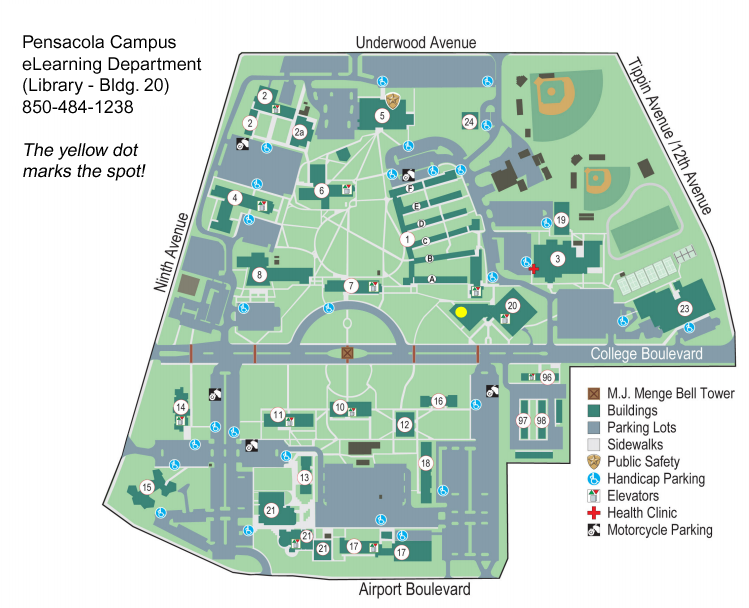 The eLearning Department is located in the corner of the west wing of the Pensacola Campus Library. The yellow dot in the map below should help you find your way.